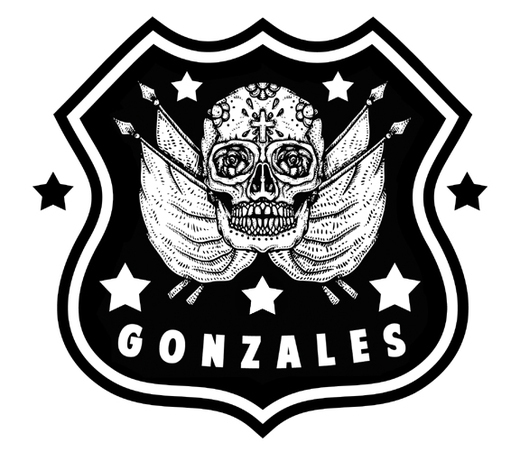 In 2004 some Italian guys coming from very different musical experiences finally saw the light in founding the band GONZALES. Since then a sort of never ending need for MORE music dragged them along their two full length albums Hell Drive (cd-2005) and CheckMate (cd & Lp-2009), four split ep 7”, involvement in different international compilations, a new Cd ep Blues On The Verge Of Apocalypse, two European Tours (in 2009 & 2011), gigs with Sham69(UK), Mad Sin(D), New Christs (Australia), Turbonegra (USA), The Lords of Altamont (USA) and many more..
Their sound lies somewhere in between 1970 and 1984 and grew up fed by Detroit pre-punk and New York punk rock with some Classic American Rock dressing on top of them. At the moment, they definitely are one of the most interesting band on Italian and European rock and roll panorama.